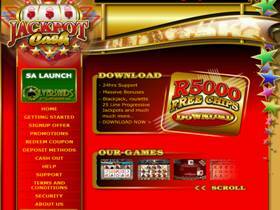 Jackpot Cash is the 2nd RTG Casino in South Africa. They have been around for a long time and have recently added a number of new slot games to their portfolio. They also offer the well known random jackpot progressive feature which goes off out of the blue. There is no need for a winning combination on the screen. 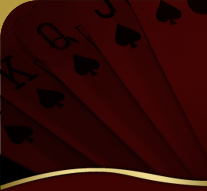 Jackpot Cash is certainly one of the market leaders when it comes to giving out big bonuses. Their welcome bonuses alone, go up to R5000.00 and then they often have additional special deposit bonus days where they offer additional large bonuses for their existing players. Many Progressive Slots and Random progressive slots. New slots such as Aztec Riches Guarantee Feature which automatically gives you a bonus feature if you haven't had one within 150 spins. They also have a nifty feature on their slot games where you can stop the reels yourself. Deposit Options: Visa, MasterCard, Moneybookers, Cash Deposits and internet transfers from your local bank account . Software Options: Jackpot Cash is a download casino, but it does not take long as only a few games download initially and then you can choose which games to download whilst you are playing their other games.